After a little break and a move across the country, we welcome guest contributor Carrie! I just love the ideas showcased below ... with a little inspiration from her Pinterest page (duh! 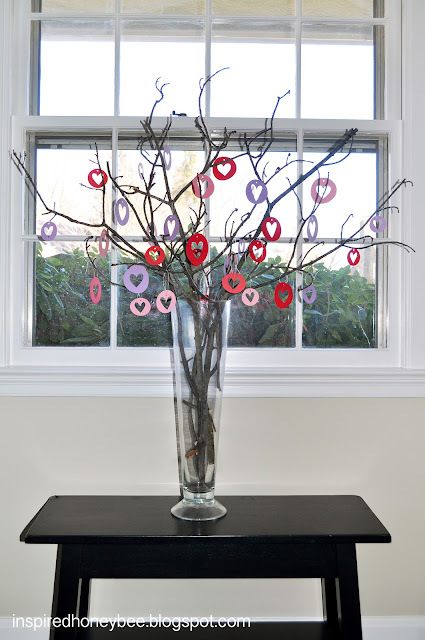 ), you can make a few simple Valentine's day decorations to add to your home and office! I’m always a little sad after packing up our Christmas decorations, so having some Valentine décor to put around the house is a great way to keep things from looking so bare. Below are a few easy things you can do to celebrate the day of love! Please find the Pinterest-inspired links for each craft if you are interested, for the full tutorials. Most of these are pretty self-explanatory. 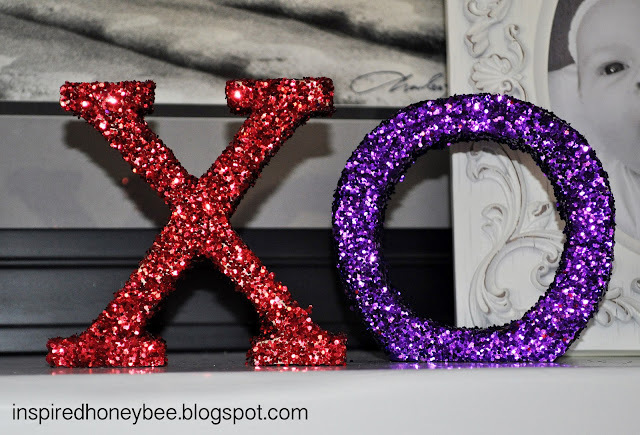 X and O glittered letters: I found a great tutorial from My World Made By Hand. 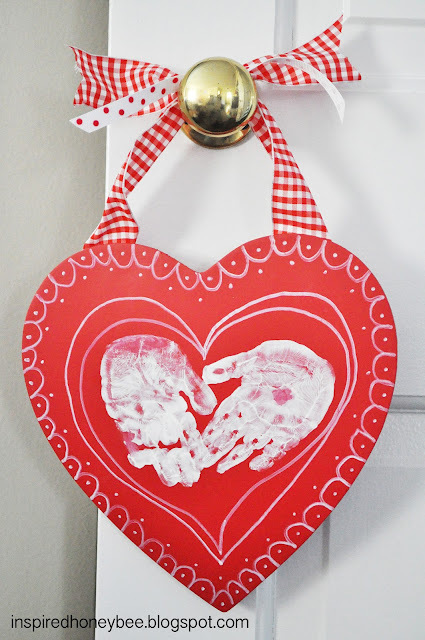 Toddler Heart Handprint Art: I found some great ideas from The Happiest Mommy On TheBlock. 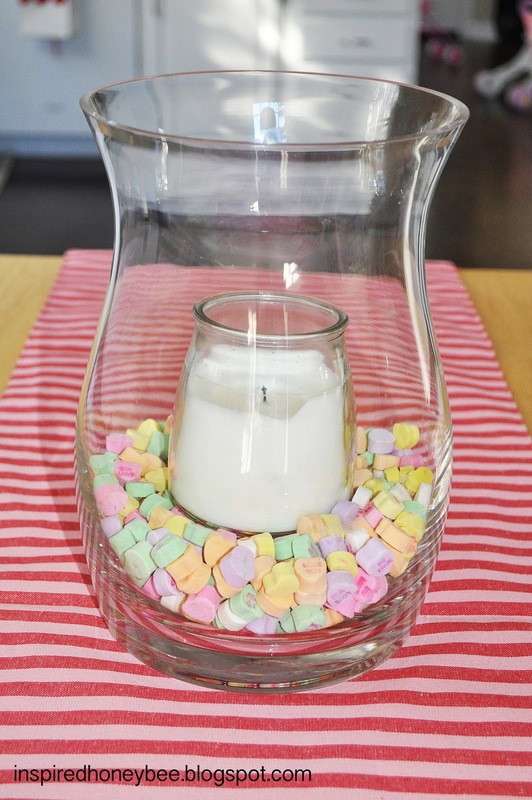 Conversation Heart Vase Filler: So easy and cute. Got the idea from Pinterest but couldn't find an original source link. Heart Branches: Inspiration from Classy Columbus Designs. You could do this for any holiday or celebration and use other shapes. Makes a great statement. 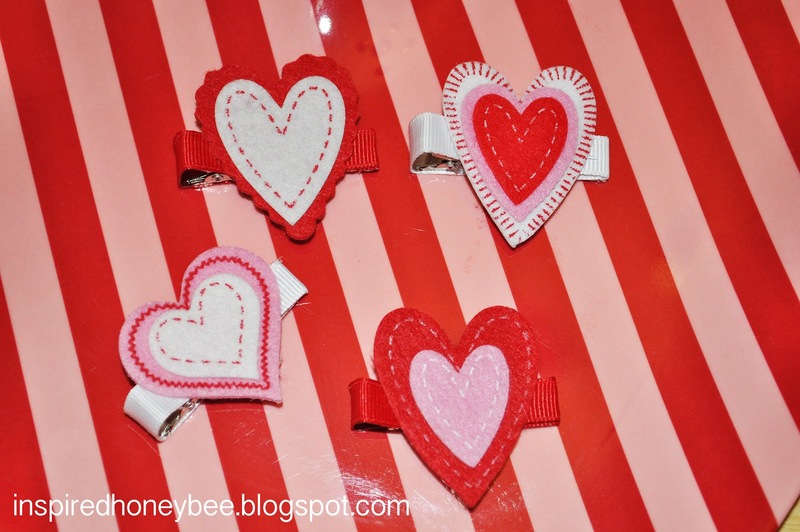 Felt Heart Hair Clips: I found great pins for adorable heart clips and really liked this one from GG Embroidery Designs. The felt heart appliqués are from Jo-Ann’s fabric store and I simply glued them onto ribbon-covered clips. So easy! 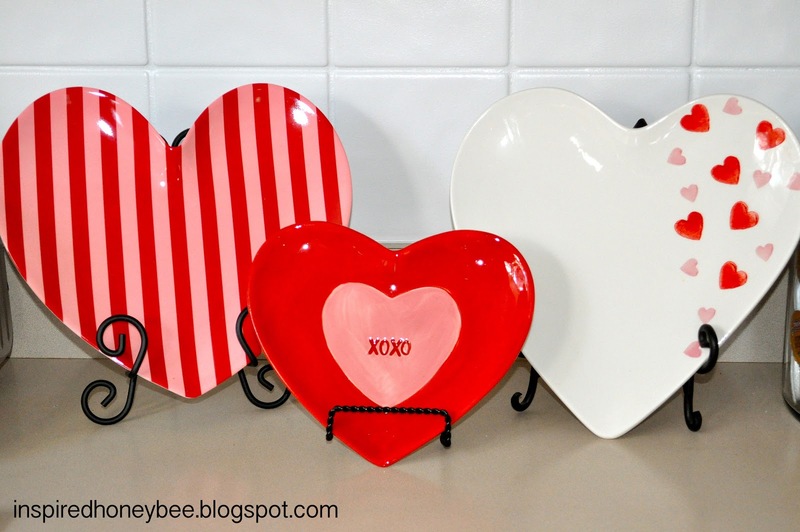 Decorating with Heart Plates: My own idea…Boom! This is all so cute, Carrie! Your last caption is my favorite....BOOM! Darling ideas. Love it! Glad you shared.